The Swiss political system is decentralized, and this includes voting operations. Several cantons have implemented Internet-based e-voting systems. The system used until recently in Geneva was a simple Internet voting system which assumed that the voter’s personal computer had not been compromised. This was considered risky already at the time and various counter-measures were considered. The one that was implemented in practice was to limit the proportion of voters that could vote via Internet. At present, there is consensus amongst experts that such systems are unsafe and should be improved, in particular by implementing verification. 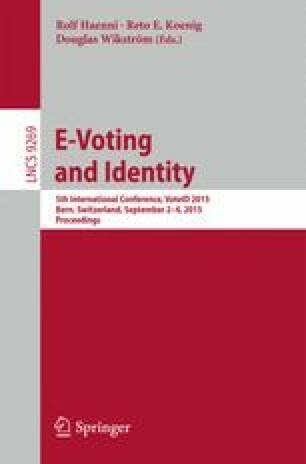 In order to stimulate improvements in the system, the author challenged the use of the Geneva system in court, arguing that it was not compliant with constitutional principles and cantonal law on voting rights. At the end of a long and complex legal process, the Swiss Federal Tribunal (supreme court) ruled that the complaints could not be heard on their merits, because they did not allege that weaknesses had actually been exploited in a specific vote. This decision differs from those taken in other jurisdictions and highlights the difficulties of bringing scientific arguments into the court system.